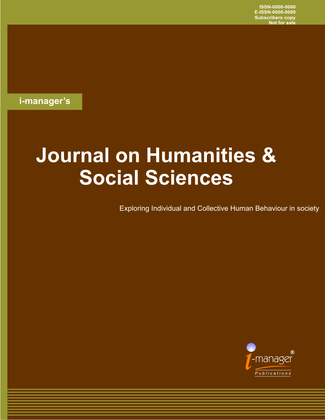 i-manager's Journal on Humanities and Social Sciences aims to explore the aspects of human values in society like culture, discipline, relationship and morals, to shape the values of civilization supportable to the modern world. The scope of this Journal is to motivate the Social science and humanities researchers to bring out more innovative research articles so as to empower the core values of humanity by relating them with social factors. This Journal would provide a platform to escalate the current scenario of human strategies to the next level with supreme care on balancing the social as well as individual characteristics.